In the early days of a product, it may be seen as novel or even so far out on the leading edge that it may not ever be fully developed. Currently, a lot of materials research in focused on making materials store electricity for dispersal later, much like a battery does and actually replacing the battery itself, or magnetizing a material to enhance its properties somehow. Currently, there is research into glass fabric that includes a thermoelectric (TE) generator embedded into it. 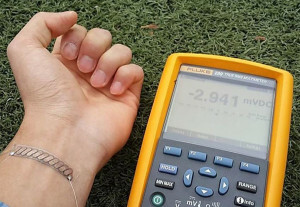 It’s flexible enough to be worn as a bracelet and it has been a lack of flexibility that has been an issue with TE generators. The materials required to absorb a significant amount of energy have previously been rigid and difficult to work into a wearable form. Already, the technology currently draws enough to power a watch or a small electronic device. And where does it get the power from ? The human body. 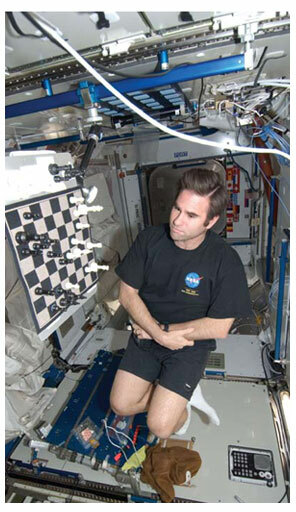 The technology collects the difference in heat between your body and the outside environment. This excess is then converted into energy through thermoelectric generation. It’s like a solar panel targeted to body heat. By using glass fabric, the team at South Korea’s KAIST University (lead by Professor Byung Jin Cho) is able to produce a material that is lightweight, flexible and capable of generating a significant amount of energy per square centimeter. Professor Cho expects “that this technology will find further applications in scale-up systems such as automobiles, factories, aircrafts, and vessels where we see abundant thermal energy being wasted.” This technology is still in development but is likely to emerge as wrist-style wearables like smartwatches and heart monitors. 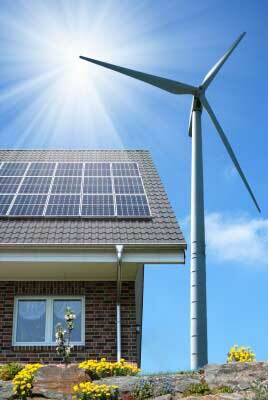 There was a time when solar and wind power were way out on that kind of leading edge. While an environmentalist’s heart may have quickly recognized the value of infinitely renewable energy early on (say decades ago) the cost was often prohibitive. Those venture capitalists that were the most forward thinking were those who risked their investments to bring about the revolution in energy taking place in today’s world that utilizes a variety of sources to reduce the harmful impacts of an over-reliance on traditional petroleum sources. According to an article by Michael Grunwald in Time Magazine’s September 8-15, 2014 issue, venture capitalists now see wind and solar as such a safe investment that it is no longer attractive to them. Who we see financing now are the BIG guys (Bank of America, Citigroup and Goldman Sachs). In other words, solar has gotten too mainstream for the out front, leading edge venture capitalists to enjoy playing. This is good news – clean power appears to be with us for a long haul. Certainly, the technology is now cheaper and more predictable – and produces good steady returns for the risk-adverse institutional capital in the economy. Happily, it is stated by Grunwald that green electricity now produces “more than half of new US generating capacity”. And this is good news overall for homeowners and utility rate payers (if their utilities participate in buying wind power). And of course, it IS good news for our planet. And although refinements to the technical aspects (better solar panels, better wind turbines, cheaper batteries and biofuels) will continue to make clean energy more and more desirable, it is the financial innovations coming from the wizards of Wall Street that are making news at Time magazine. One of these innovations is the solar lease. No longer does a home or business owner have to fund upfront as much as tens of thousands of dollars to go solar. Like a mortgage or car payment, there are now 20-year leases. Time will tell if this is really good news because most of us have not forgotten, and are still feeling the effects of, Wall Street’s penchant for “securitization”. It still hurts to even think about all the damage such novelties have wrought. The market for commercial solar securities has grown from $1 billion in 2008 to $15 billion today. There are even more obscure schemes a foot and more understandable formats like green bonds (growing from $2 billion in 2012 to almost $17 billion in just the first half of 2014). When Yemm & Hart first began to market Origins (our 100% post-consumer, high-density polyethylene panels made from #2 plastics sourced from milk jugs and detergent bottles primarily), we were in a brave new world. Those who bought our materials tended to be fringe artists, product developers and university students (and these still make up interest and small purchases of our materials). In our early days, we tried not to influence what someone might decide to make out of our material. We left that door wide open. 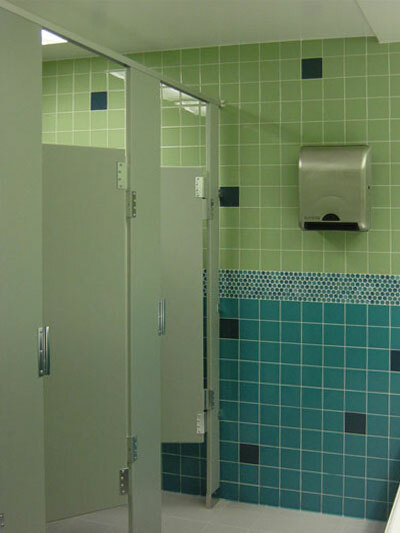 Our first restroom partitions were created at the request of customers. It was not a huge leap for solid resin partitions were already in the market and accepted but in those days “recycled” was often a scary word for the specifier. After all it was trash or garbage and sorting out the wrong resin types from bales of plastics was a huge undertaking. Cleaning that plastic was also challenging. Yet over time technology came in and businesses that specialize in the initial stages of making post-consumer waste a reliable material. Along with volume and predicatability of supply quality came mainstreaming. For us, mainstreaming means partnering with specialized business entities – architects and interior designers to recommend the specifications and factories that already had a long track record in the engineering and fabrication of restroom partitions for example. 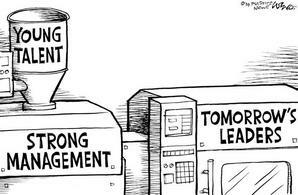 With mainstream acceptance comes new competition but sometimes, what a company does – such as we commit Yemm & Hart to continue to make available – turns out to be too much trouble and not worth the cost (unless the project is so large that such additional costs are easily absorbed). Today, while the product Origins has become a mainstream choice for restroom partitions and countertops, Yemm & Hart is still able to consider a project as small as one stall or a single vanity in a washroom, while at the same time able to meet projects as large as The Pentagon (in post 9/11 repairs), the Ohio DNR renovation of a former department store or a Children’s Hospital in Pittsburgh. We are confident that we can handle any size of project because we have carefully selected the best partners to assist us in providing the customer with mainstream reliability. One of the most exciting developments to me, is the idea that a natural resource can be extracted, a product created from the processes of refining that resource and then, at some point later on, be transmuted again back into the basic natural resource. Talk about cradle to cradle – this is certainly that. It isn’t all that different in concept from what we do when we take feedstocks of sorted and purified post-consumer recycled materials and create new products from those that can function as restroom partitions, countertops, cashwraps, flooring and other surfacing treatments. However, we are in that middle point and not taking product back to basic natural resource. In fact, our products do not actually begin at the basic natural resource stage but further along that processing line. JBI Inc of Niagra Falls NY CEO John Bordynuik claims to have “invented a process that converts plastic into oil by rearranging its hydrocarbon chains”, in an interview conducted by Daniel Robison for NPR posted on March 19, 2012. According to tests by the New York Department of Environmental Conservation, JBI’s patented Plastic2Oil (P2O) technology is efficient, with close to 90 percent of plastics coming out as fuel. “When there have been attempts in the past to make fuel from plastic, it’s been low-quality, low-flashpoint, kind of sludgy,” he says. “In this case here, we’re making a very highly refined, consistent product that’s within specifications of any standardized fuel.” If JBI has its way, plastics will become a significant source of domestic fuel that reduces the U.S. dependence on foreign oil. 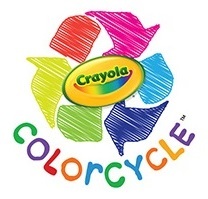 JBI is also a partner with Crayola to produce diesel and other liquid fuels using JBI’s Plastic2Oil® (“P2O”) process. This will be accomplished by utilizing participating K-12 schools and will encourage students to responsibly dispose of used Crayola markers through an in-school collection process. Markers will be sent to JBI, where they will be used as feedstock. In that same issue of Plastics News, I found this article as well – “Oregon plant that converts waste-plastics-to-oil shuts down” by Jim Johnson. Agilyx Corp created the technology that operated in Portland OR, but Waste Management Inc actually owns that operation. Though Waste Management’s decision to idle the facility will have local impacts, Agilyx issued a statement that – “it’s moving forward with the sixth and next generation of its plastics-to-oil technology and plans to own and operate the new operation in Portland”. 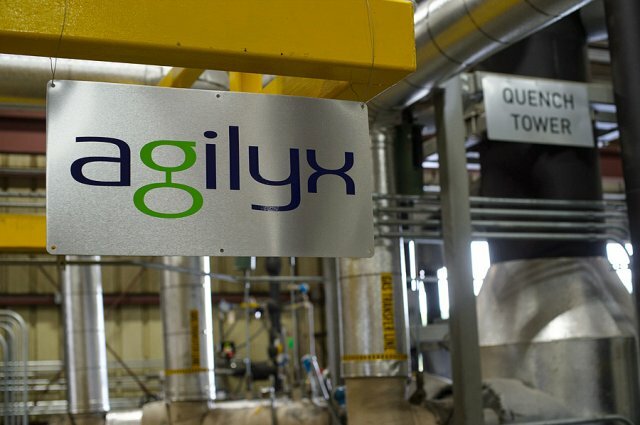 Waste Management’s decision does not impact its continuing investment in Agilyx and it “is evaluating whether it wants to retrofit the shuttered site with the new generation of technology”. Waste Management’s spokeswoman Jackie Lang also issued a statement saying – “We know the technology works”. Another high profile investor in the process is forward thinking Richard Branson. The new facility is expected to be completed by the fourth quarter of 2015 and Agilyx issued a statement that “this will also mark the first Agilyx owned and operated facility, which will be open to commercial plastic generators and aggregators”. Coincidentally, the same week that I was learning about these exciting new processes, a mass-mailing of “Tyre and Rubber Recycling”, a publication originating at Delmar Press in Nantwich Cheshire UK arrived in our mailbox. I might not have been all that interested in most of what is there (though one of our products Tire Veneer is recycled rubber buffings from used vehicle tires) but there was an article titled “Titan International Steps Up Interest in Titan Tire Reclamation”. 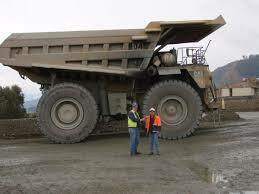 I have been up close to these enormous dump trucks in Minnesota that the various mines there utilize. Those are some VERY BIG TIRES !!! And like all tires, they do wear out and must be disposed of. The article describes a partnership with Suncor Energy of Ft McMurray Canada for the next 10 years, to operate a pyrolysis system developed by Green Carbon (a company related to Titan by familial bonds). The system uses 75% of gas from the tires in a special reactor that produces approx 500 gallons of oil, 4,000 lbs of carbon black and 2,000 lbs of steel. 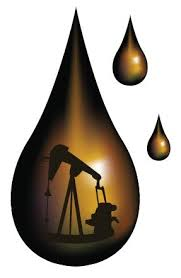 Oil companies will be buying the oil to process further into bio kerosene. This system is expected to be up and running by the summer of 2015. If one has not been involved with “applied” science directly, they may not realize the degree to which our places of higher learning, actually impact the commercial world as manufactured products. Recently, I was given the pleasure of reconnecting with a business acquaintance, Julee Herdt, that we had lost touch with for a decade. She is an Architect and Professor of Architecture at the University of Colorado in Boulder. A decade ago, she was the architecture faculty lead in back-to-back wins for the U of CO in the prestigious US Dept of Energy Solar Decathlon competition. 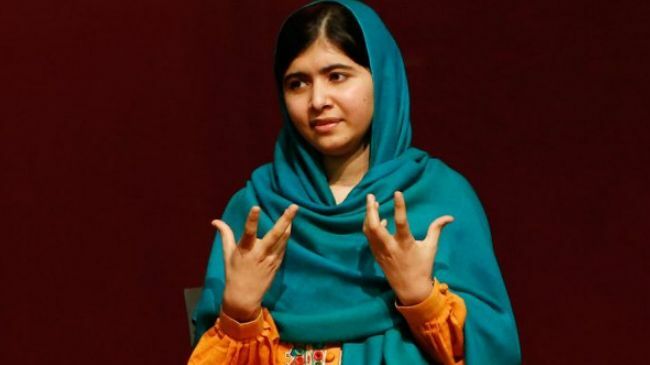 I was happy to learn that she is on the verge of setting up a factory, to commercialize her “concept” for a 100% waste cellulose building panel known as BioSIPs (Bio for “living” and SIPs for “structural insulated panels”). Using waste fibers combined with natural, salvage and repurposed materials, she has created a sustainable building material. Herdt worked with the USDA Forest Products Lab to apply their research and technology in order to develop her BioSIPs board, taking low-grade “waste” – like paper, agricultural and a variety of wood wastes – and engineering that into panels with a consistent and predictable strength. 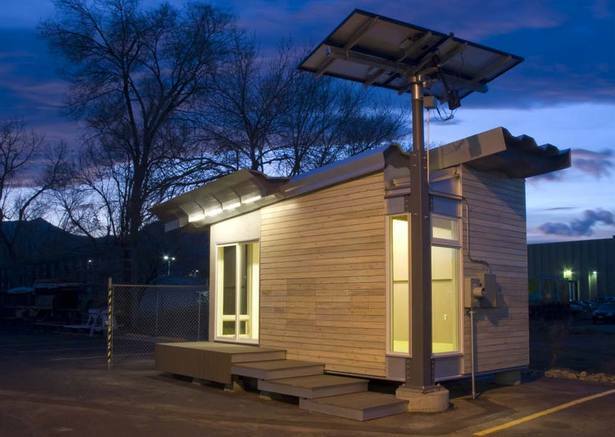 In 2005, Herdt’s BioSIPS board provided the structural insulated wall, floor and roof panels to create an affordable and energy-efficient solar-powered house that earned CU it’s second Solar Decathlon win. By 2011, Herdt had received a State of CO grant that allowed her to complete an entire building (including interior structures and furniture), diverting 3-1/2 tons of waste fibers as BioSIPs board. By 2013, Herdt’s BioSIPS inventions were honored by the US Green Building Council as “Colorado’s Green Product” of the year. Yemm & Hart has often been approached by individuals who have been inspired by our post-consumer recycled materials. We have attracted a wide range of attention from artists to serious interior designers and architects with our visually stimulating products. Time and again, we have experienced individuals with interesting ideas but not the least idea of how to take a concept and create a marketable product. That is where our long experience as innovative entrepreneurs has given us the understanding to do just that – take a concept, create and actually manufacture a product – plus know how to market that product and create sales. The concept behind Origins was a slab of particle board. In other words, replacing that traditional product with something made of waste materials. Or how about finding a second life for those little corks that you pop out of your wine bottle ? Recently, an entity participating in our wine cork recycling effort, wanted us to guarantee that we could take their collected wine corks and deliver to them a product made ONLY from THEIR corks. We had to explain manufacturing realities to them. We wrote back – it would be the same as “providing a load of PET soda pop bottles to a major carpet manufacturer and asking them to track the resin from the bottles to the carpet. They just could not do it unless it was rail cars of resin going in and truckloads of carpet going out. It would still be difficult to determine when the target resin started and stopped”. Ideas are abundant but the know-how to turn ideas into products requires a broader understanding, experience and skill. And a degree of “luck” as well. Timing, economics, variations in market perceptions, demands and supply, are all factors that can derail even the best developed business plans based on true experience. Collaborations between institutions of higher learning and the commercial world can be beneficial for everyone. Recently, the Florida Institute for Commercialization of Public Research (a non-profit) identified more than 100 commercial projects that can benefit from technology developed at Florida’s state universities and private research institutions. US Bioplastics is receiving some funding for Gatoresin (created from feedstock waste, paper production by-products and other plant based wastes). The new material is bio-renewable, water-degradable plastic designed for use in highly disposable applications. 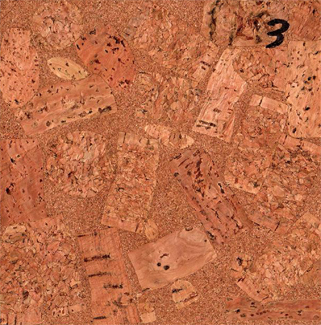 The technology for this process is licensed by the firm from the University of Florida. The company expects its new product to be “a viable alternative to a large segment of oil-based, non-degradable plastics” according to the Institute’s CEO, Jamie Grooms, in his announcement for this funding.